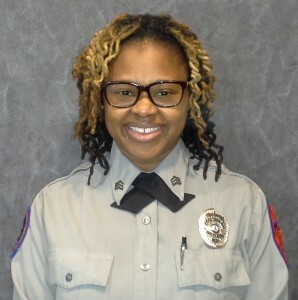 She has contributed to the agency’s success in each position she has served along the way, including Vehicle Service Technician, EMT, EMT – Field Training Officer, Paramedic, Paramedic – Corporal, and currently Paramedic – Field Training Officer. She continues to be a valuable asset to RAA with not only her dedication in carrying out her normal day to day duties, but also her many contributions while serving on various committees. She helps shape the clinical direction of the agency by serving as Chairperson the of Clinical Services Committee, and is an advocate for her fellow EMS providers while participating on the Wellness Committee. Tiffany has presented many creative ideas to the Scheduling Committee, resulting in a schedule offering a greater work/life balance. As a result of her leadership, hard work, commitment to clinical excellence, and her many contributions to the Richmond Ambulance Authority, Tiffany was selected as the 2015 Medical Director’s Paramedic of the Year.